The former city power plant. Today the city library. 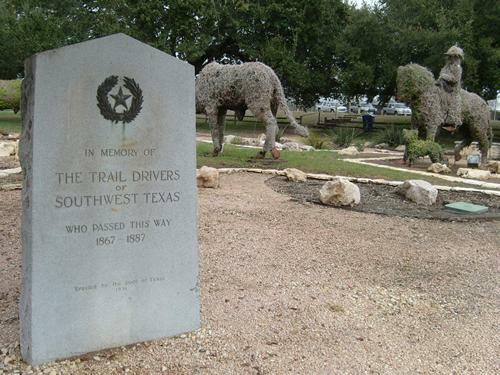 Early settler John May received a land grant from the Mexican state of Coahuila and Texas in 1835. There was very little history and no community per se until after the Civil War when the area became a gathering point for cattle drives. 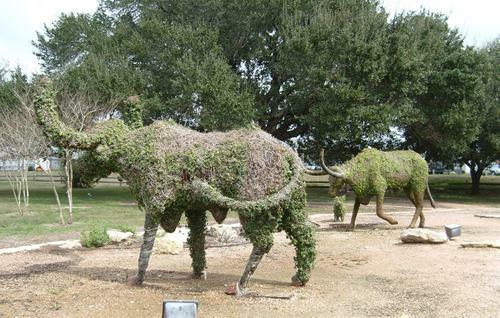 Longhorn cattle drives became the one immediate source of cash for the devastated Texas economy. 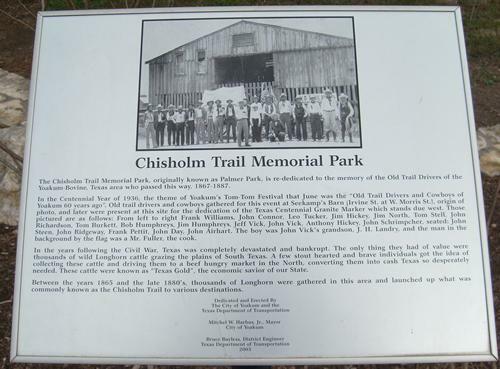 Yoakum didn�t experience substantial growth until the arrival if the San Antonio and Aransas Pass Railroad (the SAAP) in 1887. A townsite was platted and General Manager of the railroad Benjamin F. Yoakum was honored as the town�s namesake. The community�s first store was opened that same year and a post office was granted. The railroad maintained a large railroad yard and roundhouse in Yoakum. 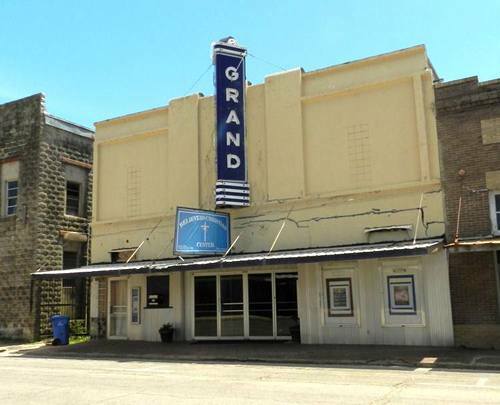 By the mid 1890s Yoakum had a population of 3,000 � which was enormous by 1890 standards. By 1914 it had more than doubled to 7,500. The tanning industry began in 1919 when a man named Carl Welhausen took over a small tanning company, and started to seriously produce saddles and bridles for horses and belts and wallets for humans. The population in 1940 was given as 4,733. 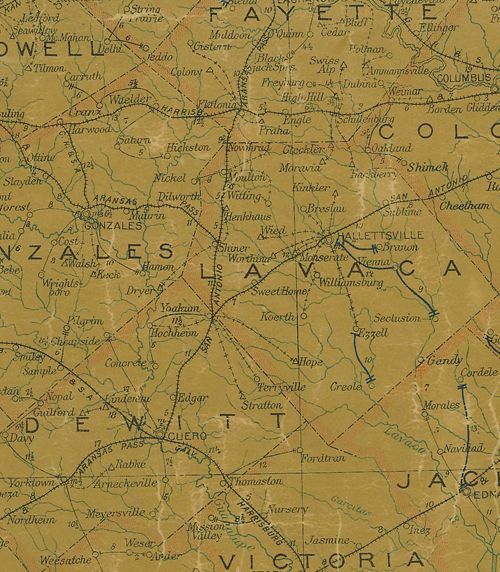 The population is split between its two counties and in 1984, 3,283 residents lived in Lavaca County while 2,325 others lived in DeWitt County. The population of 5,611 in 1990 has grown slightly � to 5,731 for the 2000 census. 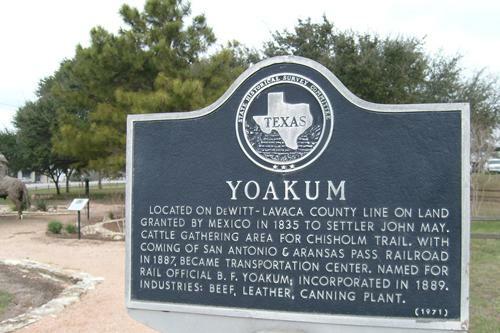 Yoakum remains as a division point for the railroad. 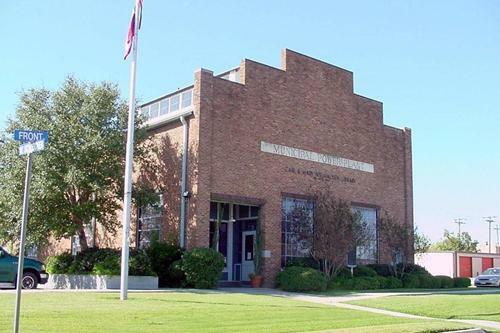 The former city power plant has been restored into the city library.